In a world where society has created phones and even computers that can be used on the go, it should be no surprise that another common portable device is not a laptop or cell-phone, but an actual portable building. Much like the similar mobile home, the process in building a modular home or space begins and finishes the building off-site instead of on personal land or property. Modular homes and offices are built using the same materials and design as a non-portable living space, which makes a modular home not only more convenient, but just as durable and well made, too. Despite the cheap price tag and reduced building time, a modular home or office must still live up to the same codes and standards as any other conventionally built facilities. Fortunately for the interested consumer, this guarantees the buyer a stable, sturdy home for a lesser price. The spaces that are built off-site are produced in what we call “modules”. When these modules are linked together on site, they reflect the indistinguishable purpose and specifications of the most refined site-built facility, and always without compromise. 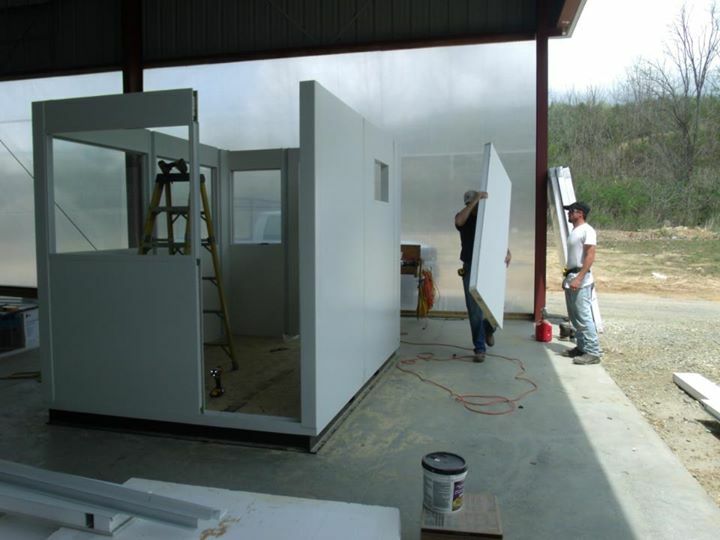 Architecturally, modular buildings are almost always sturdier than home-site construction because each module is built to withstand the pressure of being taken apart and transported in pieces. Once the modular space is formed together and sealed, the modules become one integrated wall, floor and roof assembly that could withstand even the harshest of blows. A moment ago it was in multiple pieces, and now it’s a home or office for your personal use. The advantages of modular offices and buildings are nearly infinite. Despite the largest benefit of the building being movable, a portable office is cheap, secure, and takes less time than the construction of an on-site building space. Having a modular office built instead of investing in a permanent office set-up will take less than half the time that an on-site construction would. If time isn’t an issue for you personally, portable modular homes and spaces can also be 50% cheaper than an alternative on-site building. Not only is it an insane money saver, but despite the low price, a portable office or home will not disappoint when it comes to being structurally sound. If you happen to be environmentally conscience like some are, you’ll be happy to know that modular buildings contain 100% reusable components. Not only does this mean that your building is eco-friendly, but should you have to relocate your office or even your entire modular home, you will have the ability to take the building down and move it wherever you please. In some professional cases, this can aid a business owner in finding the perfect location for his or her company simply by trying out different locations until one finally settles. If that’s not convenient, we don’t know what is. Another huge benefit of a portable office, or any kind of portable building, is that not only can these buildings be purchased for a low price, but they can also be rented out instead of bought. Even if you need a modular office or modular space during home or business renovations for example, a portable office building can be rented out and then returned once the purpose has been filled. By now, you may be wondering if the modular buildings can serve your purpose. It is both important and helpful that you understand the broad possibilities you have accessible to you. There are many different sizes, styles, and setups when it comes to these portable buildings, and you can almost certainly find the exact modular space that is needed by you personally. Another wonderful benefit of a portable building is that these spaces can be placed on your own permanent foundation. If you decide to try for a portable home instead of building or buying your own house or office, you will end up paying significantly less for the same type of deal. And definitely don’t forget that renting a modular space is also a doable, and popular, option if you have no intention of investing in one permanently. Although modular homes may tend to get a bad rap for not being “classy” enough, it is very possible to find a building that is not simply average, but sophisticated and attractive. Many modular homes are designed to look refined and tasteful, just like any other home or office would be. Depending on your personal tastes, a modular space can be built or designed almost flawlessly to suit your needs. As mentioned briefly throughout this article, modular buildings are not solely just for office space or storage. In fact, these portable structures are even bought and enjoyed as actual family homes, and not just commercial offices. Portable modular homes, also commonly referred to as manufactured homes, are not a new notion and have been around for quite some time. In our modern day society, it may surprise you to find there are some pretty valuable and impressive ideas when it comes to considering a portable building, so don’t shun the idea yet. Whether you’re on the lookout for an office space, a family home, or an area to simply rent for an event, portable buildings are the fantastic way to go. Despite their cheap price tag, modular homes are a wonderful addition to whatever project you may desire.